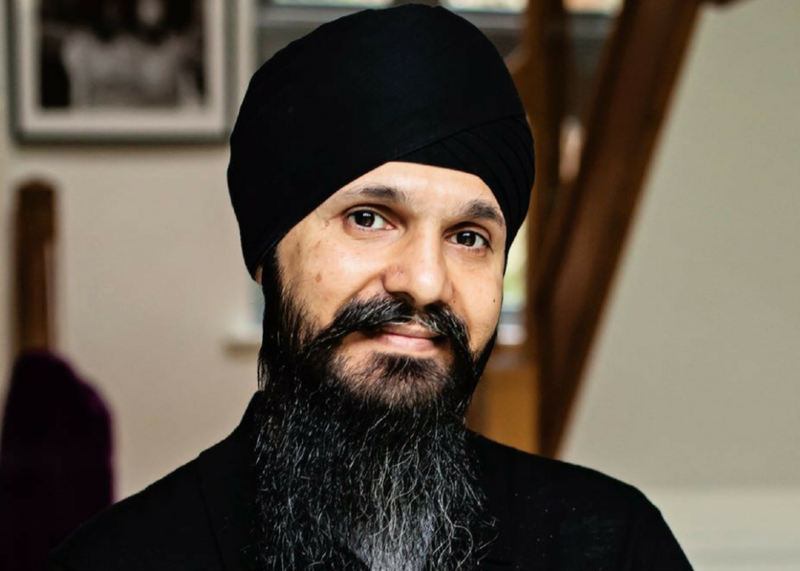 I’m Harinder Singh and about as west as West London could get for a while (Southall). Since then life and living has moved me to a place where I’m possibly the only Singh in the Cobham Village along with my son who’s now 6 months old! As you’ll see later that’s a rather interesting place to be when you support the team that I do (and no, it’s not one of my neighbours!). A. Well, I’m now the ripe old age of 41. Married, 2.4 children (well 3 if you consider Anoop who’s our childish Samoyed dog). Post my degree in Software Engineering I decided programming wasn’t for me and went into my graduate training programme at Goldman Sachs in 2001. It was all set to be a lovely 2001 and then 9/11 happened and it was a stark reminder that we are not designed to be incognito when living in New York City two blocks away from the scene. I still work in IT as a Programme Delivery Manager for one of the investment banks in the city and I carry on doing it looking the way I do. This is important as when starting out I was told by my peers I couldn’t make it looking the way we do. We had the last laugh! I’m a passionate Liverpool supporter and season ticket holder so that may put some folks off from carrying on but please stay tuned for more information… I’m sure you’ll like it! A. I have two children who are an amazing blessing. 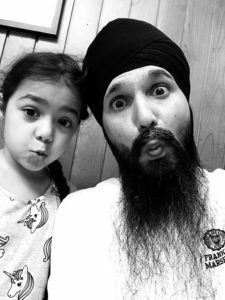 Daya Kaur who is 6 going onto 16 and our newest edition Sahib Singh who came like a gift from the above on Sri Guru Nanak Dev ji’s gurpurab in November 2017. Daya is the life and soul of the household. Funny, excitable, loving and very compassionate. Every bit a Daya Kaur that a Daya Kaur could be. Sahib is just like her temperament when she was of similar early months. 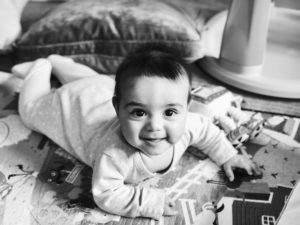 As he develops and grows I see the same smiles and looks of amazement when I walk through the door. I suspect this is more “where have you been?” as Rupinder, my very patient and determined wife, is there more than I am due to Mon-Fri working life. Q. You are invested in a unique home for girls in India, can you tell us more about this initiative? A. Unique Home for Girls is a place for abandoned girls in Jalandhar. 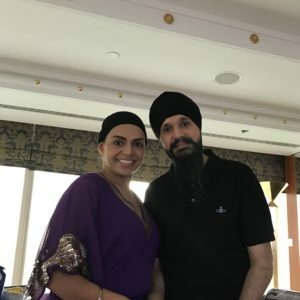 In England, there is a registered charity called UK Friends of Unique Home and myself and Rupinder are part of a group of trustees for it. 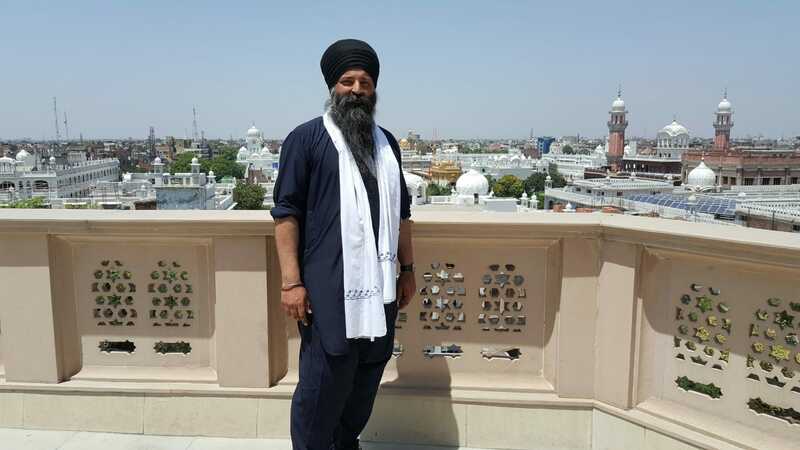 The main aim of the charity has been to raise awareness and funds for the ongoing new building they are constructing on the outskirts of Jalandhar. This will finally enable the girls (circa 80) to move from the old home into a purpose built modern building which is more secure and equipped than the existing premises. The key thing to note though is that I won’t describe this place as an orphanage as this somewhat discredits the efforts of Bibi Ji there who embraces every girl there as a daughter. It’s their home. It’s doesn’t distinguish between the ways in which someone arrives but looks to provide a structure that enables a new life of love and wanting such that by the time any daughter leaves she is ready for the world. Q. So what’s all this Liverpool nonsense about? A. King Kenny Dalglish of course. I’m joking! My biggest inspiration has been the folks behind Akal Academy. Reading the history of how this institution came about from the times of Baba Attar Singh Ji to Baba Teja Singh Ji to now with Baba Iqbal Singh Ji. I went to Akal Academy Baru Sahib in 1993 for around 18 months when I needed to learn what it meant to be a Sikh who was Amritdhari. It’s not an easy existence and as we look to learn we need a teacher. Back then I was surrounded by people I could learn from but just couldn’t connect with. This 18 months allowed me to live and learn. As life throws challenges from every corner I always look back at this school and what it wants to accomplish – that Sikhs in Sikhi’s roop (image) go on to achieve in life and take our roop forward intact and without fear or trepidation. So many times I’ve seen or heard where the wrong advice is given that we may not beat a system designed to hold us back. The only thing that holds us back is ourselves. Embracing who we are and what we are with full faith is a path filled with obstacles but nothing is insurmountable. The time here gave me a belief that even when I falter or fall behind that the way forward is with our Guru. Always. A. It’s never about where you’re from but where you’re going to. This rings true in so many ways. Sikhi actively shows us that it holds no bias of your background, your colour, your perceived status or belonging. Applying this to daily life we see so many in different places and in order to rise together we have to be together. A. Don’t drink. Ever. My father passed away in 2010 aged 58. He came from a culture where heavy drinking was the norm. I can recall the feeling of waiting and waiting as he left the home to go somewhere and how he would return drunk and incoherent. We’d be left waiting to go anywhere and he’d disappear. Over the years I’ve seen many articles come out respective to drinking and Punjabi culture. It’s not an easy topic to approach because you want your dad to be like everyone else’s. Normal, engaging, happy and at one with his family. I can’t recall many of those moments over the years as a kid but I do remember the waiting and wanting. It happened to be the best teaching that I don’t want my own children to feel that way. A. I’m sure she’d say she’s my parent! In a way, she probably is the best check and balance of what I need to be a good dad. We can get sucked into everything around us and taking the time to reflect. A. Enjoy it. The nesting period of your partner will be a challenging one but once you get past that embrace the changes! There isn’t a prescriptive way to be that leads to being the ultimate dad or winning greatest dad of the year award but there are a few simple things that we can do. Remember they’re kids! We were kids once too. Fortune favours the brave. Every nappy change is possible, just keep the right tools nearby for those challenging moments. Your wife will be tired. Anything she says is fine and forgettable when under duress! Be the dad you can be. There isn’t a perfect dad but just the ones who let their children know and feel they are loved. Don’t worry. The first time is an adventure! Q. Whats the biggest lesson about life your child/children have taught you? A. Nothing is as bad as it seems. I can come home and be shown how to forget anything in an instant with one of them smiling or laughing. When kids are young, certainly in my ones, they don’t dwell on a negative experience and use that to benchmark the next one. It’s been an eyeopener for me personally in seeing this with Daya and it’s a good lesson when facing the unknown or previous experiences in new settings. Sahib himself has taught me more about myself than I ever wanted to learn probably! A. Patience. As kids develop at different paces we should remember that the embracing of Sikhi can be the same. What we show them and shape them with is also just as important. Knowing the environment at school and home can be at different points of a spectrum we have to be able to adjust to thinking on our feet. baby proofing and the “how the heck did you get there?” will come. A. I’d probably go with you. Have a feeling you’ll need the break from it all very soon! But seriously, who shares Pizza? If I did have to pick somebody I’d take Jurgen Klopp. He could wax lyrical about so many things and he’d also be culturally enriched by so many Singhs and Kaurs around him. He’s always come across as someone who would be fascinated by what we have to share of our history and way of life. Of course, some football would be discussed and I don’t think the conversation would end anytime soon. I also don’t think we’d get thrown out of the place if we carried on eating and talking post-closing time so that’s a lot Mr Singh’s Pizza for us all before we get to the desserts! Q. Can you tell me a funny story of something that’s happened to you while being a father? A. Daya’s first-word post taunting! She was approaching her first birthday and we’d gone to Lake Tahoe for a friend’s wedding. Daya was sitting there making noises and there I was mimicking her in my own special way. She laughed, I laughed, Rupinder laughed. As parents, we laughed probably a bit too much. Daya all of a sudden switches to a deadpan straight expression of annoyance and shouts “Dada!”. Well, do you laugh at her ability to be so expressive at such a young age or cry at her first words? I think it was a bit of both if I’m honest. Rupinder was choked and I was like the cat that got the cream. Mum is with her day and night as I went out to work and it’s me she refers to first. A. Daya and paat at school. You go to parents evening. You look at all the things they’ve been doing and listen to the teacher evaluations and see all the boxes being ticked. Upon leaving you to bump into another family who have their daughters at the school. They’re twins and younger and one’s also called Daya. You begin to hear they’ve been going home asking their parents about where their Kara is and how they’ve been practising mool mantar with my Daya Kaur in the playground. I’ve genuinely not expected that at a parents evening. I was so proud of Daya being so forward and comfortable with her identity at a school where the majority of children aren’t from the same background. Her ability to carry herself confidently made me fill with joy and I think I told everyone I could! A. Sahib’s birth. Without doubt. The period leading up to the birth was as uneventful as you would want a birth to be. The day came and as the morning broke it was time. The time that followed is one I wished I had that aforementioned time machine for. More is here http://anfieldindex.com/34635/win.html but suffice to say everything was challenged. Faith, hope, who you are and why. He has been my everything in showing me that there is no darkness when you believe. Q. If you had to sum up being a Dad in one sentence, what would it be? A. The most amazing thing in the world to be! 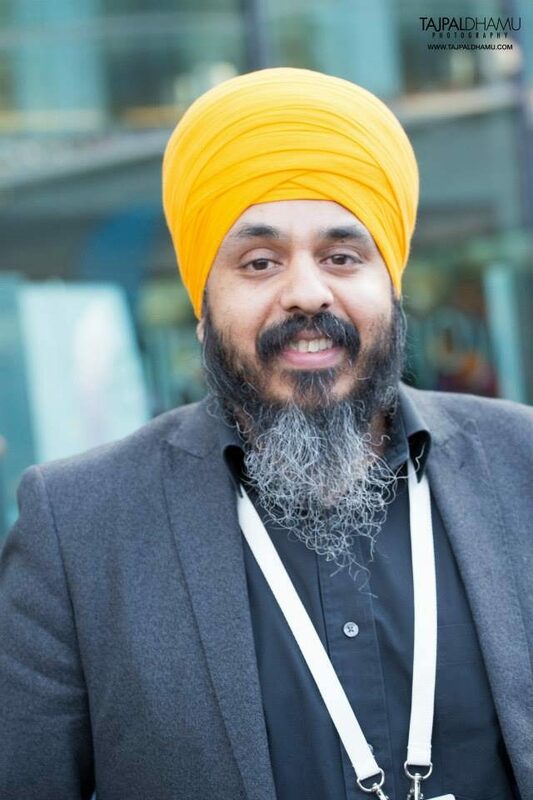 Harinder Singh is someone that I have met a few times now, he is well spoken, calm and patient. 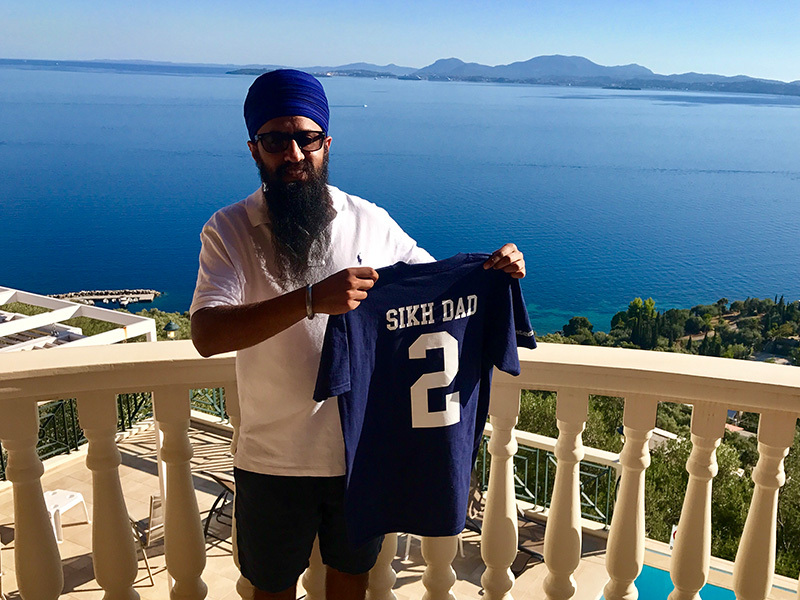 He was one of the first Sikh Dads that I contacted when I started this initiative and he has been on board ever since. He has remained very honest and reliable which I appreciate a great deal. I am also delighted that he would take me to Mr Singhs to share his Pizza, I have of course brought that up with him, he said he doesn’t do that very often so aren’t I the lucky one? For me, these interviews seem to get better every month, the wealth of knowledge and experience we are getting exposure to is unreal! 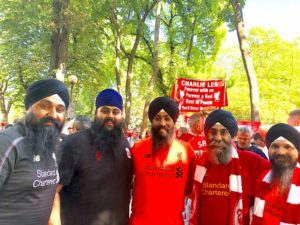 Recently Harinder wrote an excellent article about some recent challenges he faced as a father, he has been kind enough to include the link above, please do give that a read, its refreshing that he has been very open and honest about his recent experiences, lastly I would like to personally thank him for taking the time out for Sikh Dad.